External fixation of fractured femur. 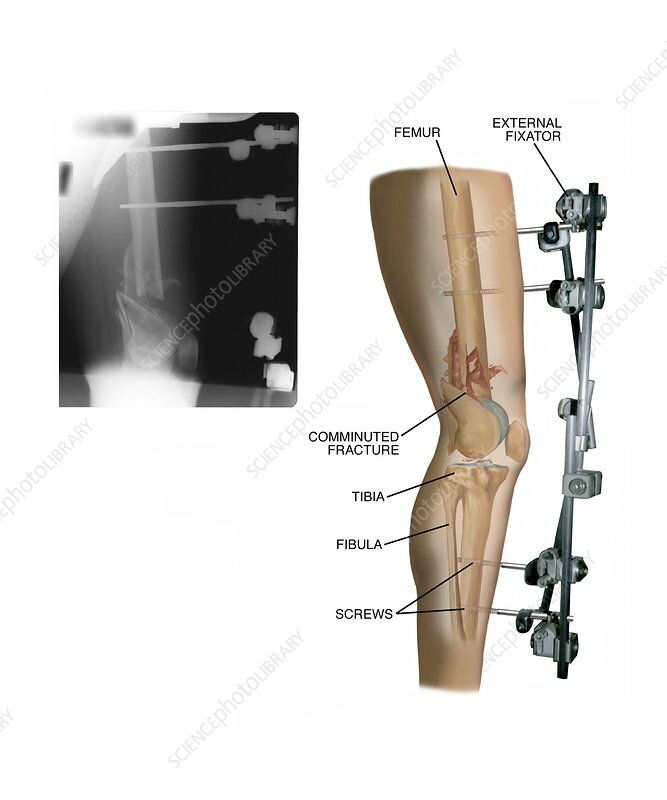 Labelled artwork and corresponding X-ray of external fixation applied to a fracture of the femur (thigh bone) in a patient's right leg. This is a lateral view. Screws in the bone, connecting to an external supporting rod, have been implanted across the fracture to hold the ends of the broken bone in place, allowing it to heal in the correct alignment. This severe injury is a comminuted fracture, where the bone has broken into several pieces.